Sheila Heti is the author of seven books, including the novel How Should a Person Be? which was named a New York Times Notable Book; the story collection The Middle Stories; and the novel Ticknor. Her books have been translated into twelve languages, and her writing has been featured in various publications, including the New York Times, London Review of Books, the New Yorker, n+ 1, McSweeney’s, Harper’s, and the Believer. She lives in Toronto. Sheila Heti: It feels like cycling down a rocky hill. TC: Motherhood takes up one of the most important and far-reaching questions in a woman’s life—whether or not to have a child. What was the most satisfying part of working through this particular book? SH: It is always satisfying to cut all the tens of thousands of bad sentences and know you’ll never have to look at them again. SH: You always fear you aren’t going to be able to pull it off—the completion of a book. SH: There is no alternate to writing, even in an alternate life. Life and writing are a single thing. There is no alternate to writing, even in an alternate life. Life and writing are a single thing. 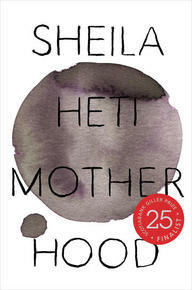 SH: Alice Munro is the best of the winners. She hasn’t inspired me in my writing for we are very different writers, but she inspires me as a person, in the way she seems to live an absolutely quiet life. Alice Munro is the best of the winners. She hasn’t inspired me in my writing for we are very different writers, but she inspires me as a person, in the way she seems to live an absolutely quiet life.